The Super Bowl last Sunday was either dull or it was classic pro football on its way to extinction, depending on whom you ask, but what got our attention were several of the commercials, which touched us and made us feel at home. 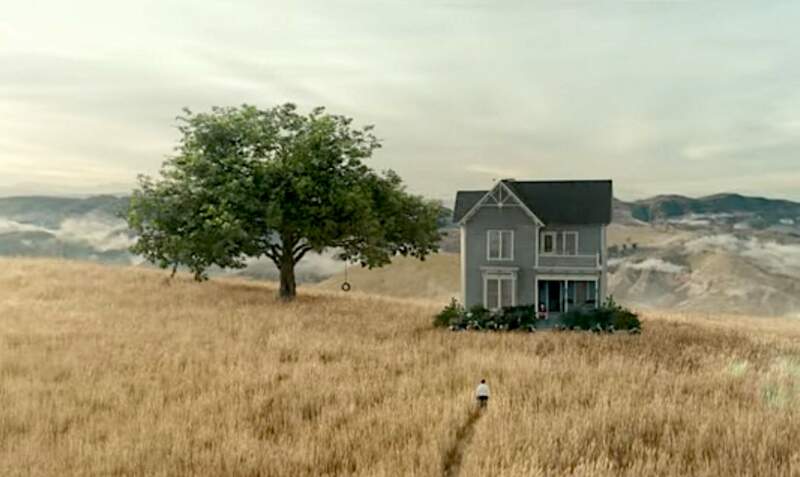 The first was an Audi ad entitled “Cashew.” It begins with a man crossing a wheat field to a solitary blue house. “Grandpa?” the man says to an older man waiting on the front steps. “Come on, I’ve got something for you,” the distinguished man says. They emerge in a garage, like dream logic, where he pulls a tarp off an Audi e-tron GT, scheduled for production in late 2020. “What’re you waiting for?” he asks as he removes the charging cable. The younger man gets in. The garage opens onto brilliant light — and he is snapped back to the present. He is being rescued from choking on a cashew, in a gray cubicle in a sea of gray cubicles. We are not persuaded that selling a third of Audi models electrified six years from now constitutes sufficient progress under a Green New Deal, but this is a quibble because what got us was the place the harried worker glimpses as he is nearing death. His heaven – a high plain, perhaps a mesa, with wheat, and rolling hills behind – looks a lot like the West. It could be the Southwest. For us, it is home. The other spot that caught our eye was Budweiser’s “Wind Never Felt Better.” It begins with a shot of a Dalmatian, its ears flapping in the wind, which is brilliant because you probably could sell cyanide if you began with a cute spotted dog. It gets better as the shot gets wider, the dog riding on a signature wagon filled with beer, which uses a lot of water, by the way – but we are getting ahead of ourselves again. We hear Bob Dylan’s “Blowin’ In The Wind” as the camera backs out to show more wheat, and then a beautiful high valley crowded with wind turbines. “Now brewed with wind power for a better tomorrow,” the titles say. We were not overly concerned before with how Anheuser-Busch InBev got the power to brew beer – where the water comes from is still a question – but this is just another quibble, because to us, this also looks like home. Their tomorrow is our today. In truth, the Bud spot was shot in a hilly section of the Tejon Ranch, in California, about an hour from Hollywood. That too is the West, of course, even if they did have to digitally add the wheat as well as the wind turbines. If we are to trust the signals we get from big-budget commercials, America is dreaming of a future an awful lot like our present. It is a place it can get to someday, it supposes, if we can only convert to electric vehicles and renewable power now. Fair enough. If all goes as planned, we will be here to welcome the drivers of electric cars, the harried refugees from cubicle farms, and fill them with juice from our wind turbines and let them pet our spotted dogs as we tell them to come back to the last best place anytime.